Sorry that picture is a bit fuzzy, I snapped these on the way out the door this morning. A good clip of work done on the min Fennblades unit. I knew I wanted to at least get all the washes done this weekend, but I actually got into some of the highlighting and blending as well. 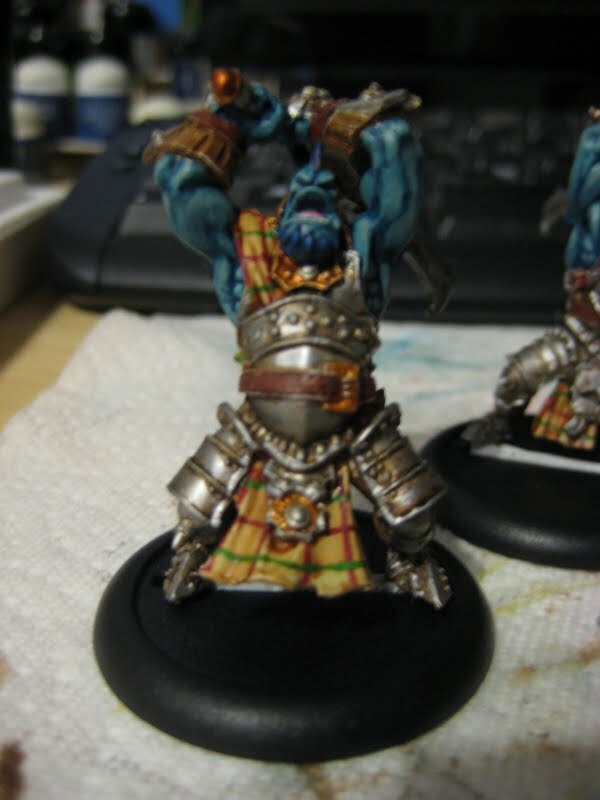 I need to do some more work highlighting the armor, working on the gold, highlight the leathers, attempt to add some highlights to the tartan stripes, and get details like teeth, claws and rope. I might get some time tonight, but I doubt I'll finish before leaving again for travel for work. Dan, they look amazing. Love the kilts/wraps/shawls whatever you call them.